Have a question? New to digital magazines? Interested in our content? See our frequently asked questions below to find answers. Founded by Jonathan Musk (no relation to Elon) in 2013, Autovolt was created to fill a void in consumer magazines, whereby there were no publications dedicated to electric and hybrid vehicles. What begun as a niche topic quickly transformed into the mainstream, as the automotive industry embraced electrification. Our regular columnists have included the renowned and hugely talented writer, actor, and comic Robert Llewellyn and motoring writer/presenter Jonny Smith. In addition, Autovolt enjoys contributions from some of the UK’s most respected and award-winning automotive journalists. Autovolt was present when the first foundations of Formula E were laid and has consistently been ahead of the curve with recognising the importance of electric mobility. Focusing on electric vehicles (EVs), hybrids, plug-in hybrids (PHEVs) and hydrogen fuel cell vehicles (FCVs) ensures Autovolt remains at the cutting edge of automotive development. Autovolt magazine is produced once every two months (bimonthly). Our website is updated much more regularly, so if you’re after the latest electric and hybrid on-goings, we recommend you take a look at our news page. How do I get Autovolt magazine? There are two ways to obtain Autovolt – print or digital. First and least expensive is a digital subscription. This ensures you receive the magazine as soon as it is published online and your eco-concious will be pleased no trees were cut down to make a paper mag. Digital subscriptions and single issue purchases are handled by Readly and Magzter, or you can opt for individual PDF downloads from MagCloud. Secondly, Autovolt is available in traditional paper format from both Amazon and MagCloud. Currently, there is no on-going subscription available for paper issues. Lastly, if you’re simply looking to find out more about Autovolt, you can view a few of our back issues digitally and for free on Issuu. What are the core features in each Autovolt magazine? Included in every issue are sections as follows: Pictures, news & technology, column(s), feature articles, reviews, back pages and a final thought. Being a bi-monthly magazine, our news section covers major stories from the previous couple of months, as well as bang up-to-date information released just before publication. Robert Llewellyn and Jonny Smith are currently our regular columnists, who provide an often humorous outlook on the world of electric vehicles. Each issue contains several feature articles and reviews about the latest plug-in, electric or hybrid vehicles. These are frequently accompanied by a technology piece that focusses on a specific hardware, for example, “how solar panels work”. Alongside vehicles, we showcase gadgets that complement the electric car lifestyle. For example, a solar powered charger for your mobile phone or the latest in-home gadgetery. Finally, repeated in each issue are our infamous back pages. These provide a helpful guide detailing what electric and hybrid cars are, how they work and the core components contained within. This is followed by a glossary of electric vehicle associated terms to aid translating technical topic specific vernacular. We finish each issue with a final thought, often answering a question asked by a reader. Why is Autovolt not free? Autovolt is not produced by a large publishing company or team. All revenue goes directly toward paying for new and exciting content, including articles by top automotive journalists and contributors including Robert Llewellyn & Jonny Smith. These funds help maintain the high quality and consistency Autovolt’s readers have come to love, expect and demand. Is there a newsletter I can subscribe to? Yes, you can sign up to our newsletter using the short form located at the bottom of this page (and on each page of this website), in the footer. We never share your information and never bombard you with emails. Instead, we tend only to send out emails when there’s a new issue, new feature or we’re alerting you to a relevant automotive or technology event. Is Autovolt available in any other language than english? Autovolt is only available in english at present. If you’d like a translation into your own language, please let us know. Can I get back issues of Autovolt? Absolutely! All our past issues are automatically available to Readly subscribers. Likewise, Magzter Gold customers have access to the entire collection. For individual purchases, Magzter or MagCloud are the most cost effective options where single issues can be bought and browsed on a tablet, computer or mobile phone. MagCloud offers both digital PDF and print-on-demand glossy paper magazines. You can purchase issues directly from each distributor, simply follow the links at the bottom of the page. All our back issues are available in print from Amazon, in the UK, Europe, US and Canada. In the UK, each issue costs £10 including Amazon Prime next day delivery. After a specific topic or car within one of our magazines? Your best bet is to check out our dedicated back issues page, located here: Autovolt back issues. Over the years Autovolt has evolved. If you’re after a flavour of what we offer, you can view our first few issues for free on Issuu. Amazon needs little introduction being one of the world’s most recognisable online shopping brands. Autovolt uses Amazon to supply paper editions of the magazine around the world including the UK, Europe, the US and Canada. Can I subscibe to Amazon paper editions? Unfortunately, no. Amazon currently does not offer a means of subscription to paper magazines sold via their online store. Instead, we recommend you sign up to our newsletter to be informed of the next issue release. How do I buy a paper magazine from Amazon? We suggest you browse our issues on our site and click the “Buy” button below the issue you’re after. This will take you to that issue’s specific Amazon page where you will be able to see if it is in stock and the price (£10 for all UK issues). You can add the print copy to your basket using the “Add to Basket” button and subsequently the “Proceed to checkout” button. At this point, if you’re already an Amazon customer you should sign in, but if not you will need to register for an Amazon account, but clicking, “Create your Amazon account” and following the on-screen steps that ensue. Having signed in successfully, you’ll then be asked what address you’d like to send the magazine. Next, choose a payment method and click the button to go to the next step. Finally, review your order and choose your preferred delivery method. If happy with everything, click, “Buy now”. Amazon also has a “Buy with 1-click” feature, which – if active on your account – allows the purchase of Autovolt with one click. Because Amazon keeps most issues of Autovolt in stock, you can get your order as soon as the day after purchase – unless you’ve opted for a longer delivery method, for example, “within 3-5 days”. I don't live in the UK, can I still get the print issue? Yes. Amazon ships internationally but please be aware shipping costs vary depending on the destination country. Autovolt is also available on different regional Amazon web-stores. The magazine is currently available in Amazon’s UK, Europe, US and Canada markets. Please note, the price varies according to region, with the price always equating to roughly 10GBP per issue. I have a problem with my print. If you have a problem with your Amazon order, such as missing pages, incorrect issue or damaged in transit, your first port of call should be to look on your Amazon account. There you’ll be able to organise a free-of-charge return, replacement or refund. You can view Amazon’s help section by clicking here. Readly was one of the first digital publishers to offer a flat rate subscription fee of £7.99/month for access to every single magazine in their entire library. That means access to thousands of issues, both new and old, from some great titles – Autovolt included. Readly is quick to load and included in the subscription fee access for up to five different devices and five people of your choice is allowed, turning one subscription into something your entire family can enjoy. This can be a huge monthly saving if each person in your family already owns a tablet device and subscribes to a variety of paper magazines separately. Readly is our preferred digital distributor, as we feel it offers the best value for money, App features and presentation of Autovolt. Readly does not offer paper magazines. How do I use Readly? The simplest method is to download the free Readly App, which is available on most major platforms (Apple iOS, Android, desktop web viewer). We recommend a 10-inch tablet, such as an iPad, to best enjoy Autovolt’s glossy pictures and ensure text is readable without needing squint or zoom in. Once registered with Readly, simply login to the App with your details and browse the thousands of magazines at your fingertips… or simply search for Autovolt. You can find Autovolt by searching for its title or looking in the “Automotive” category. If you’d like to be informed of the next issue release, click the small star in the corner of the magazine cover to mark it as a favourite. Help, I can't find Autovolt in the magazine list! Readly is an international digital magazine distributor offering access to thousands of global publications. Resultantly, it can be a bit of a minefield to find the magazines you’re most interested in. We’d suggest using the helpful filters Readly supply in their apps, which should eliminate titles you’re not interested in. If you still can’t find Autovolt, it is likely you have either hidden “English language” magazines or the “Automotive” category. To correct this, choose the small globe icon (Country and Language settings) and make sure English is chosen on the list. Additionally, make sure United Kingdom is selected in the country list. Click on Categories and go to Automotive. You should now see Autovolt amongst the listings. Alternatively, you should be able to find Autovolt simply by clicking the magnifying glass icon, which will allow you to search for Autovolt by name. For specific Readly App problems, please see Readly’s FAQ using this link here. Can I read Autovolt without using an App? Yes. Readly has a dedicated web browser platform that can be accessed here: https://go.readly.com/. Magzter is slightly more flexible than Readly in that it offers several subscription options. You can purchase a single digital issue of Autovolt at the price listed on the magazine’s dedicated Magzter page. 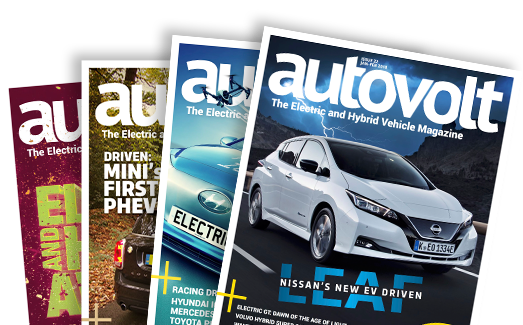 Alternatively, you can subscribe to Autovolt magazine for one year. Magzter prices are the least expensive option to read individual Autovolt issues. Additionally, Magzter offers “Magzter Gold”, a similar service to Readly, which costs £7.99/month for access to their entire magazine archive. Magzter also offers “Magzter Gold” Lite, which provides access to five magazines of your choice for £4.99/month. Magzter does not offer paper magazines. How do I use Magzter? The simplest method is to download the free Magzter App, which is available for most platforms (Apple iOS, Android, desktop web viewer). We recommend a 10-inch tablet to best enjoy Autovolt’s glossy pictures and ensure text is readable without needing to squint or zoom in. Once registered with Magzter, simply login to the App with your details and you’ll be able to browse magazines, subscribe or view those you have already purchased. If you’ve opted for a single issue or subscription to Autovolt, these will appear in the magazines you already own. For Apple users, these are retrievable in the Apple “Newsstand”. If you’ve subscribed to Autovolt, you’ll receive automatic notification of the next issue release. Alternatively, if you’ve opted to subscribe using “Magzter Gold” or “Magzter Gold Lite”, you can search for Autovolt or browse by category to find it. You can favourite Autovolt to be certain not to miss the next issue, or alternatively signup to our newsletter in the footer of this webpage to keep informed. I can't find Autovolt in the list. Magzter is an international digital magazine distributor and it can be a bit of a minefield to find the titles you’re most interested in. Login to Magzter or the App and navigate to My Subscriptions (if you’ve purchased a subscription) or My Single Issues (if you’ve only bought a single issue). Autovolt should now show. Alternatively, You can find Autovolt by searching for it by name in the search box. If you’ve favourited Autovolt before, you should be able to see it amongst your favourites in My Favourites. For specific Magzter App problems, please see Magzter’s FAQ using this link here. Autovolt uses MagCloud’s services to offer a print-on-demand paper edition of Autovolt, delivered direct to your door. With MagCloud purchases, you also get a complimentary digital issue of the magazine so you can enjoy it in digital format at no additional cost. MagCloud is an American company, owned by Blurb. Unfortunately, this means their pricing is in dollars but even after the exchange rate conversion and shipping, it is still cheaper and of higher quality than competing European services currently available – including Blurb’s own European arm. MagCloud magazines differ from Amazon prints in that they’re of the highest quality possible. This means their production-time is a lot slower, as each issue is hand crafted by traditional print experts. Can I subscibe to MagCloud paper editions? Unfortunately, no. MagCloud currently does not offer a means to subscribe to paper magazines sold via their online store. Instead, you can opt to be notified when the next issue becomes available and place an order on a per-issue basis. Why are prices in dollars? MagCloud is an American service that Autovolt began using in 2014, when the first issue was launched. Because of this, prices are in dollars and paper issues are typically printed and despatched from America. However, even after taking the exchange rate into account, the price including delivery works out as cheaper than similar services offered by European printing companies. In 2015 Blurb bought MagCloud and introduced a European based print service under the parent company name. Unfortunately, they remain more expensive and print at a lower quality than their American counterpart, so for now we’re sticking with MagCloud. MagCloud paper magazines are generally printed and shipped from America. It takes approximately two weeks from the time your order is placed to delivery at your door (three days to print, the rest is transit time) – if you’ve chosen Royal Mail to the UK. If you’ve paid for faster delivery methods, your order can be with you as soon as one week. Yes. MagCloud ships internationally but please be aware shipping costs vary depending on the destination country. For Readly: To cancel your subscription, please follow the instructions at this link. For Magzter: Because Magzter offers a variety of subscription options, please view their help & FAQ section and contact their customer support directly. At the bottom of each newsletter we send, there is an unsubscribe link. Simply click this link and follow the steps. If you don’t have an email link to click, you can either wait for the next newsletter to arrive and click the unsubscribe link then, or please feel free to contact us.